The Lego Movie 2 is not for traditional fans of the series. But its ideas on their own are not engaging. The level of detail and intricacies present earlier are simply not a part of this game because it uses Lego Worlds as a design template. The Lego Movie 2 videogame does not follow the same structure and gameplay as the main series. It is more of a sequel to Lego Worlds, and fans should not go in expecting a traditional Lego game. Instead of the regular linear levels, Lego Movie 2 is more about exploring the open world, solving puzzles and quests wherever you can find. You must collect randomised loot by breaking objects, before utilising them in a blueprint to build the item you need to progress. This also includes building vehicles, as some of the worlds are too large. You will go through several hub areas based around the movie and following the narrative is pretty straightforward. In fact, that is true for the entire game. The solution is always right in front of you, and the design of the puzzles as well as the levels is not up to par. The level of detail and intricacies present earlier are simply not a part of this game because it uses Lego Worlds as a design template. As a result, they feel empty and traversing through them takes far too long. Some sequences and set-pieces, are indeed well designed, but its not long before you are thrown back into the monotonous gameplay. The same is true for the character interaction which, instead of being charming and lively, is dull and boring. 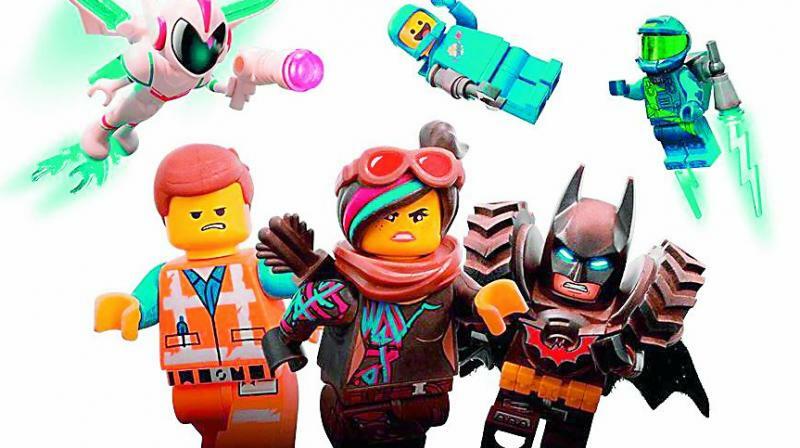 The Lego Movie 2 is not for traditional fans of the series. But its ideas on their own are not engaging. I did not enjoy the focus on exploration and the sandbox nature of its gameplay, and greatly preferred a more focused approach. The core combat remains the same, so you will not be disappointed if you just want to play it for the breaking, collecting and re-building aspect of these games.